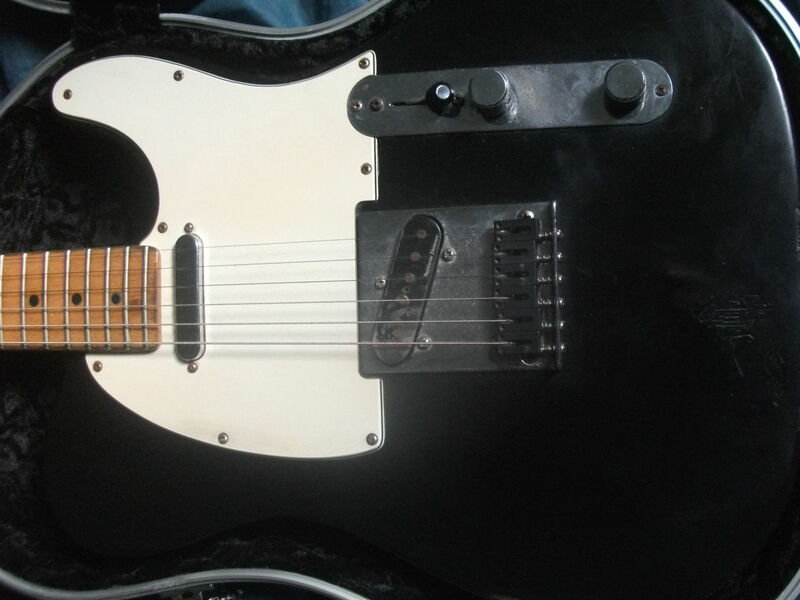 Had this bashed up guitar for almost a year and finally got around to starting work on it. 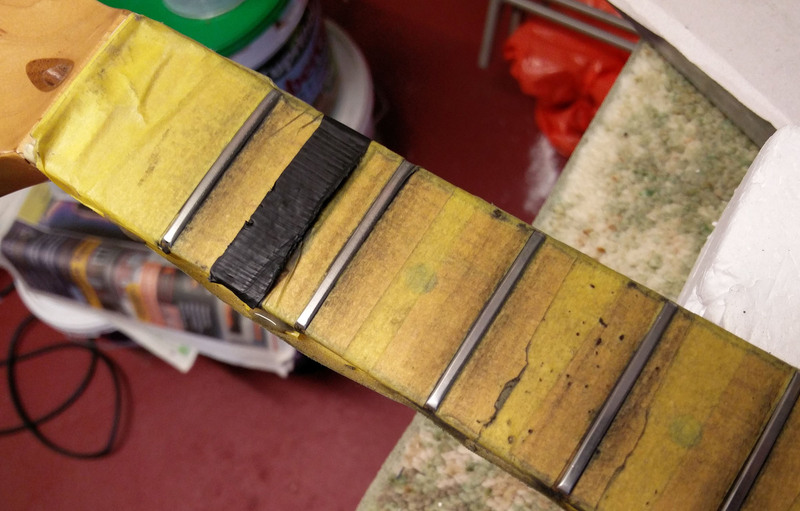 The body is staying as it is, most of the neck too except frets as they were worn and unplayable. This is due to the current fashion of the “reliced” look although this one was just well used. 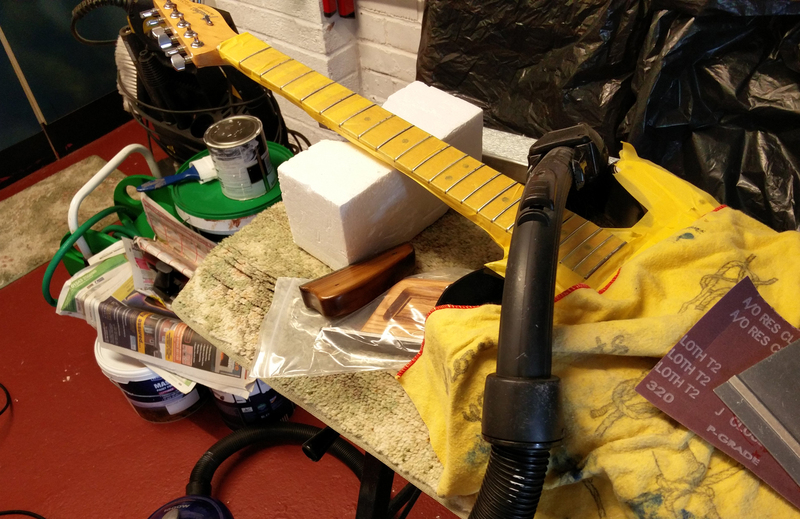 Apart from fret leveling files and abrasives an old vacuum cleaner keeps the mess down. 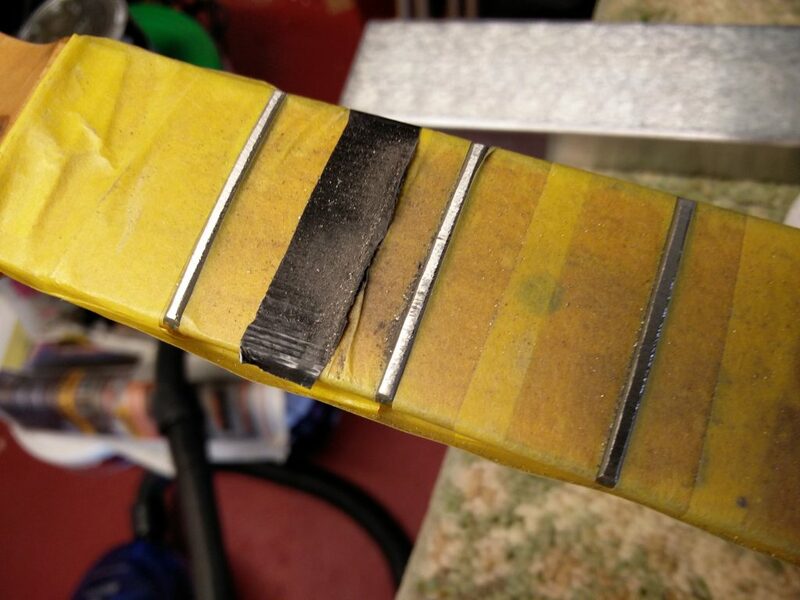 The frets were well worn, the worst being the second fret below the third string, here there is just a bit more to go on the first stage of leveling. A lot of metal removed so far but still enough left. 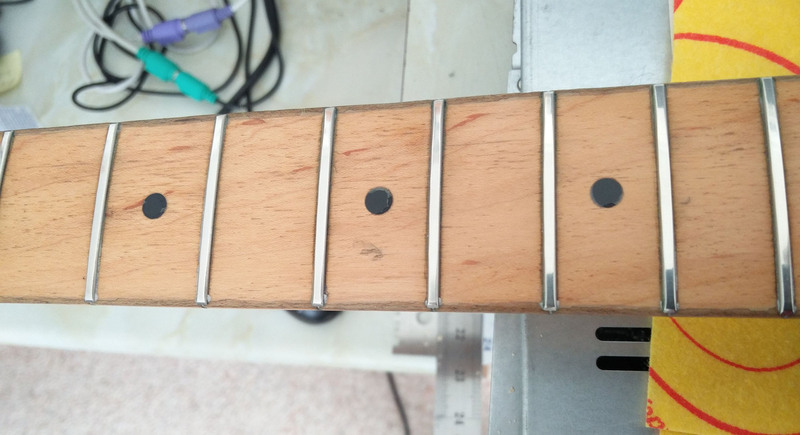 Here after using 600 grit to remove file marks I need to polish them up a bit. 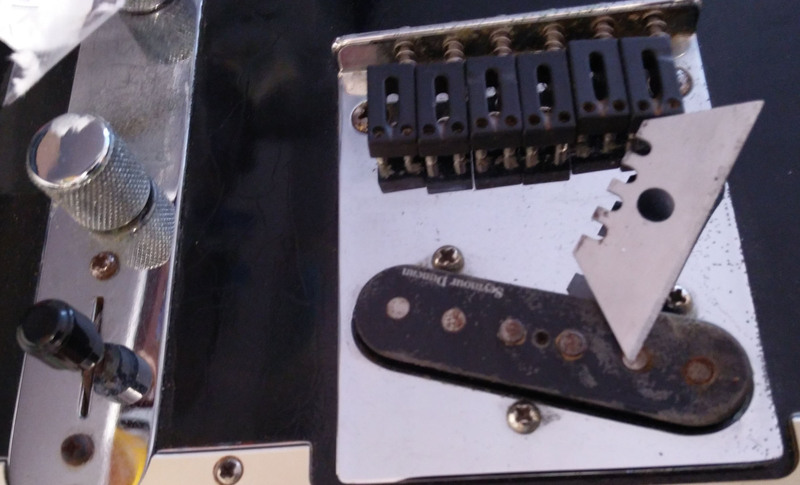 I want to keep the well used and worn out, sorry reliced, look but there is just a bit too much rust on this pickup.